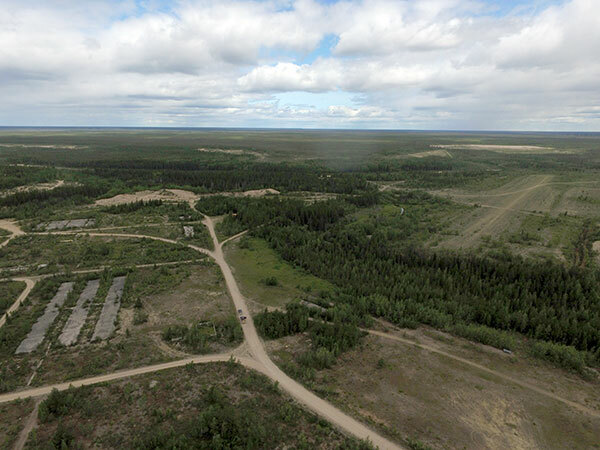 This site along the Limestone River near the present-day site of Fox Lake Cree Nation was occupied in the late 1950s and early 1960s by a Cold War radar station of the Royal Canadian Air Force (RCAF). 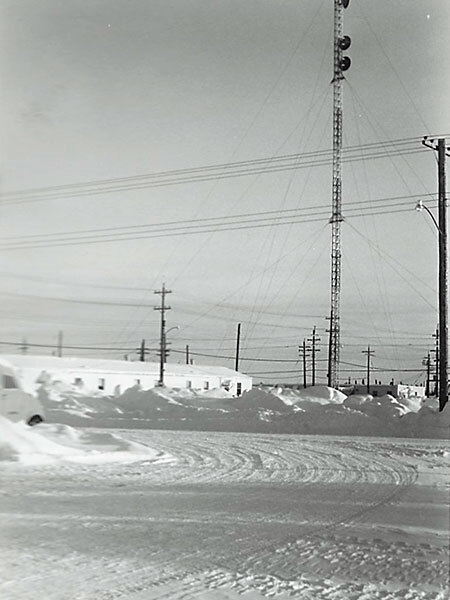 Known as Sector Control Station Bird, it was one of eight posts in the Mid-Canada Radar Defence System (MCL) that spanned the country from Dawson Creek, British Columbia to Hopedale, Labrador. MCL stations had Doppler radar equipment to provide information on the direction and speed of Soviet aircraft invading North American airspace, relaying it to the NORAD continental defense facility in Colorado. They were analogus to the speed traps used on Manitoba highways today, measuring radar signals emitted by the station that were subsequently bounced back by foreign aircraft. Bird was one of two MCL posts in Manitoba; the other was at Cranberry Portage. Station Bird was established in December 1956 and it opened in May 1957. 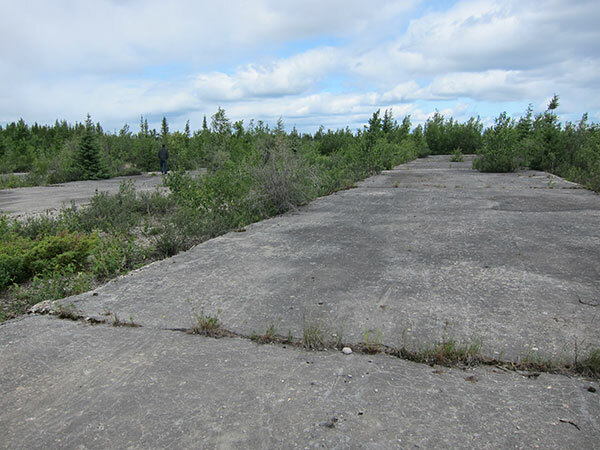 It was accessible only by the Hudson Bay Railway, that bisects the site just before turning north to Churchill, and aircraft landing on the site’s graveled runways. The station consisted of numerous buildings: three large barracks, mess hall, administration building, garages, water treatment plant, power plant (all electricity was produced by diesel-powered generators), large gymnasium, and railway station where workers got their first and last views of Station Bird. 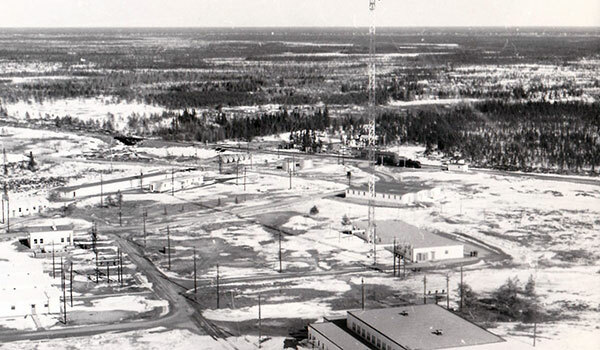 Outside, there was a rink for hockey and broomball games, landing pad for Sikorski helicopters used to transport maintenance crews to remote sites, large fuel storage tanks, and steel towers used as antenna for the Doppler radar system. Graveled roads ran all around the facility and to the runways. There were about 100 men on the station’s staff; a dozen or so were military but the majority were civilians (most in their 20s) who were technicians, mechanics, kitchen staff, etc. The workers worked long hours, ate well, and were paid well. Most went home after one-, two-, or three-year deployments with considerable savings. Links with the outside world were primitive. Workers wanting to communicate with their families sent letters that were carried out by aircraft. There was no television. American and Soviet shortwave stations were audible. (The Soviet stations broadcast propaganda from “Moscow Molly” intended to demoralize the workers.) Recreation time was mostly spent in the gym or in vigorous and frequent card games where some participants lost much of their hard-earned pay. Improvements in radar technology and jet aircraft design in the early 1960s quickly made the MCL obsolete. Station Bird closed in January 1964, less than seven years after it opened. The buildings were all removed or demolished. Today, the former Bird site is occupied, in part, by the Fox Lake Cree Nation. To the south of the old gravel runway are modern homes, school, and maintenance buildings. The concrete outlines of the former Bird Station buildings, and the roads connecting them, were still clearly visible during a 2017 site visit. DEW Line Sites in Canada, Alaska & Greenland by Larry Wilson and Brian Jeffrey. 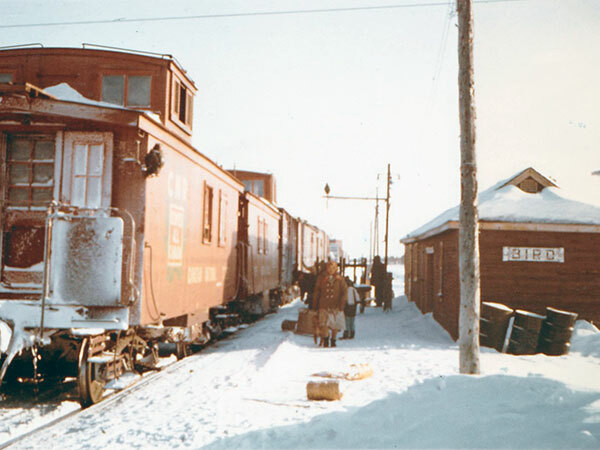 Along the 55th in '55: Dawson Creek, B.C. to Hopedale, Labrador, The Mid Canada Radar Defence System 1955-1969 by John H. Webb, 100 pages, Saskatoon: privately published, no date, ISBN 0-9699251-3-1. We thank Jim Anderson, Don Lapchuk, Al Mergel, and Stan Summerhill for providing information used here.